Versatile and so pretty to look at! 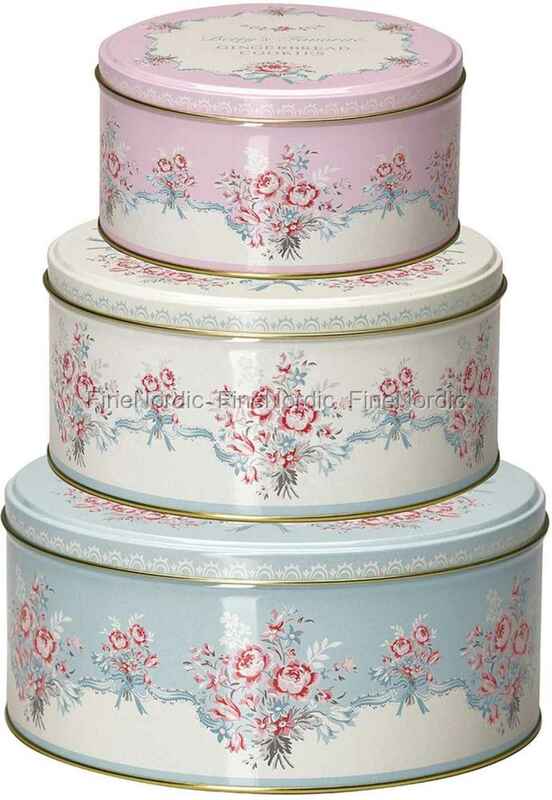 The round 3-piece Betty White tin set by GreenGate is a feast for the eyes because of its charming color combination and romantic flower patterns. The big box has a diameter of 20 cm and is 9 cm high. The middle box has a diameter of 17 cm and is 8 cm high and finally the smallest box with a diameter of 13.5 cm and a height of 7 cm. They can be used to store: pastries, tea packs and spices in the kitchen, brushes and make-up in the bathroom and in the living room, the tin set watches over your knitting and sewing utensils. So you can kill two birds with one stone: Everything is tidied up, plus you have a little extra decoration beautifying the room. How very clever, GreenGate!